One of my favorite things to do is entertain, I love any excuse to throw a party, especially one with a theme! However, my second favorite thing to do is attend parties and dinners at my friend’s homes. It’s always a relief when you don’t have to do all the work, right? Well even though you’re not the one setting the table and cooking the food, you should never show up empty-handed. 1- A coffee table book on entertaining and a set of glasses. 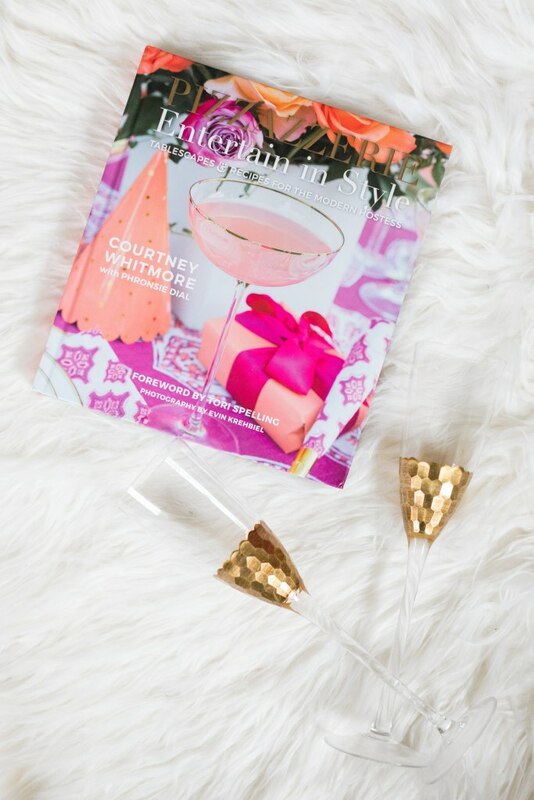 I love to collect coffee table books because they are so pretty to display but you don’t always want to spend that kind of money on yourself, making them the perfect hostess gift. 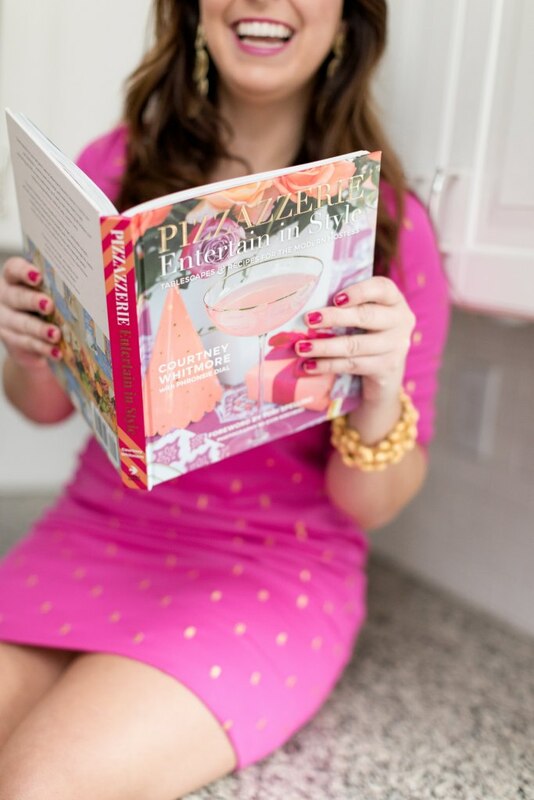 I love the idea of a cookbook or one entertaining focused like Pizzazzerie with a set of cups to try a cocktail inside. 2- Any girl that says she doesn’t like flowers is lying, she’s just trying to seem low maintenance. Really, who could resist some fresh flowers from the local market. Pair it with a stunning vase like my favorite ceramic artist Jill Rosenwald. 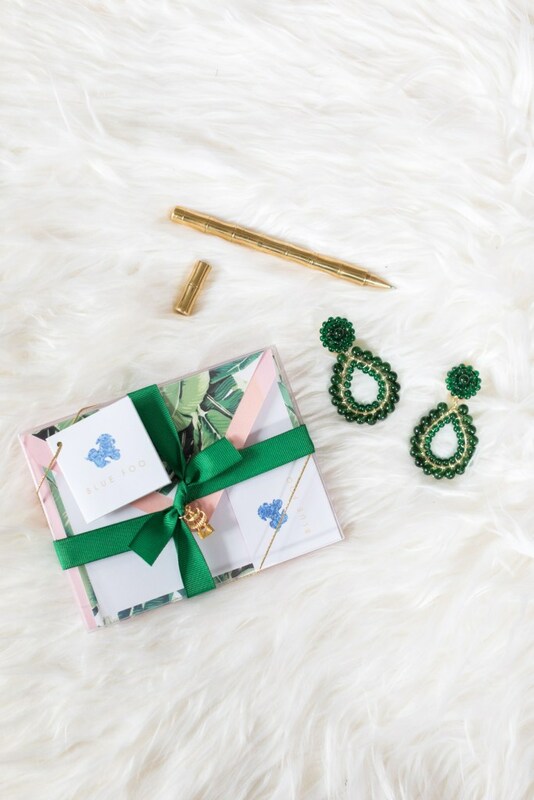 3- I’ve shared my love for snail mail many of times and I think it’s the perfect hostess gift because it’s something that she actually can use. I like to give stationary that is customized or fashion forward like these from Blue Foo Designs and then pair with some costume jewelry. 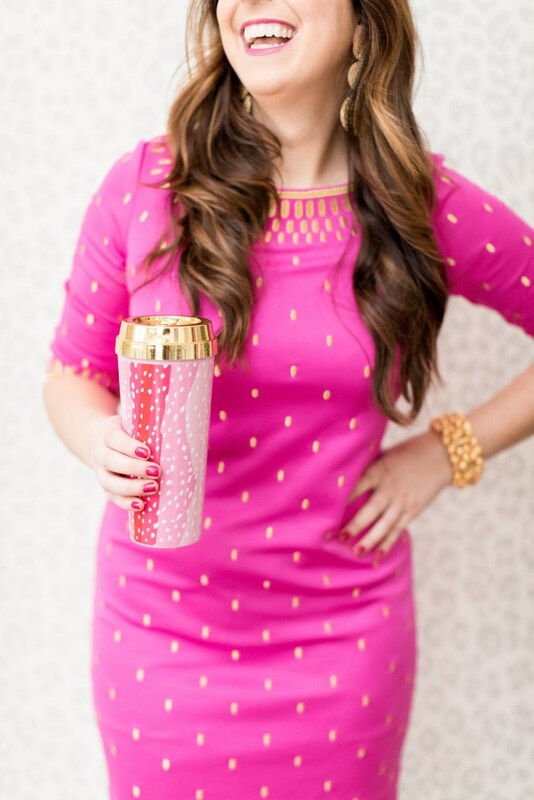 4- Is your hostess a tea or coffee drinker? 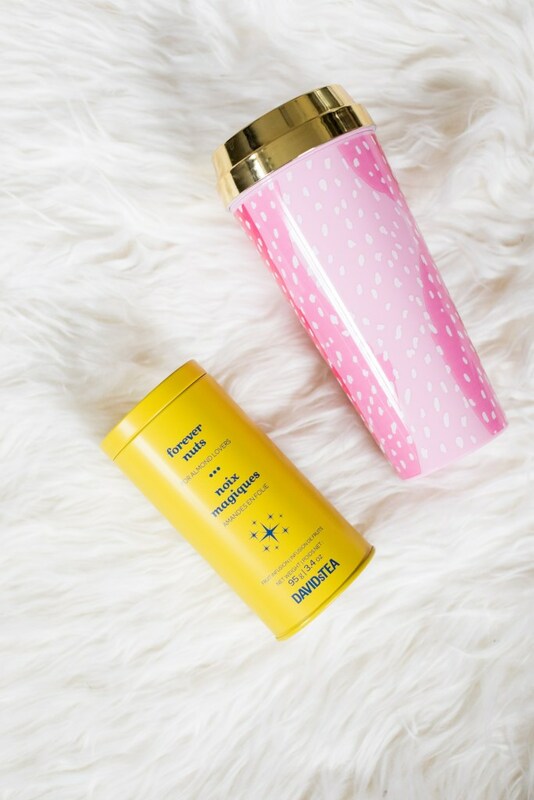 Why not give her an adorable tumbler from Sweet Caroline Designs with some unique tea or coffee to go inside? 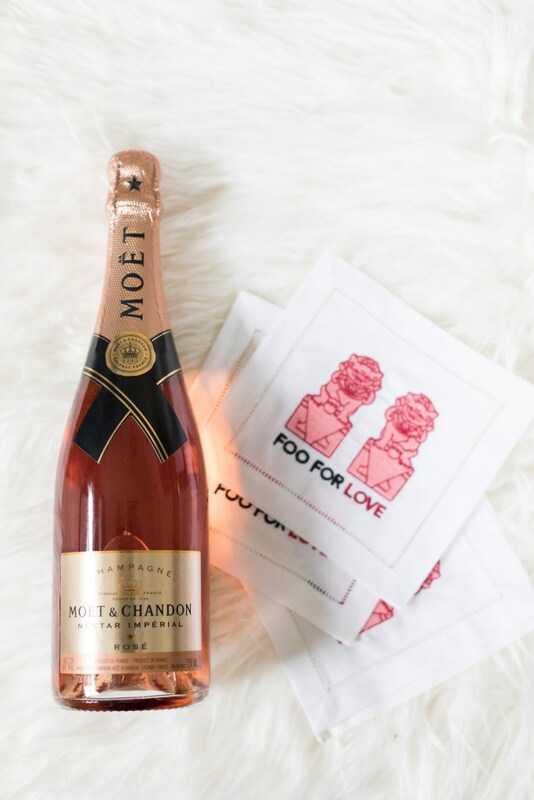 5- A traditional hostess gift is a bottle of bubbly or wine but take it up a notch with a set of quirky linen cocktail napkins. They are a conversation starter and something to collect over time. 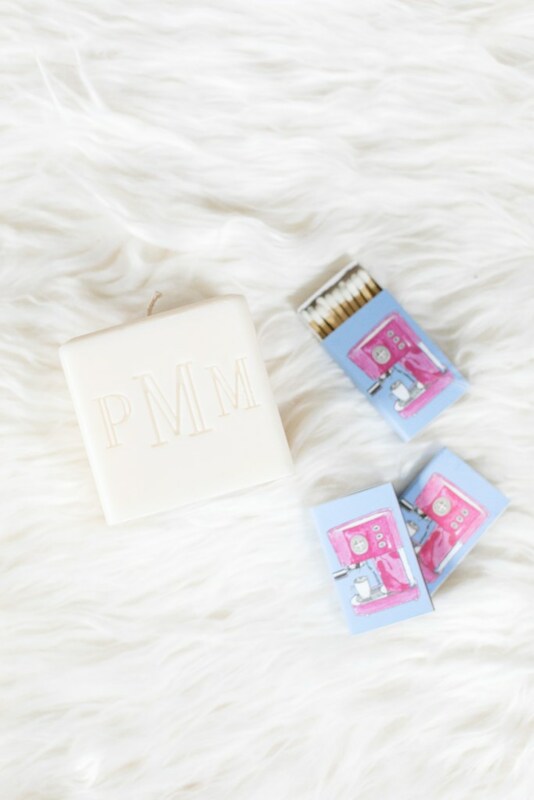 6- Last but not least, I burn a candle daily as most of America, give your hostess a beautiful candle like this monogrammed one paired with a set of fun matches. 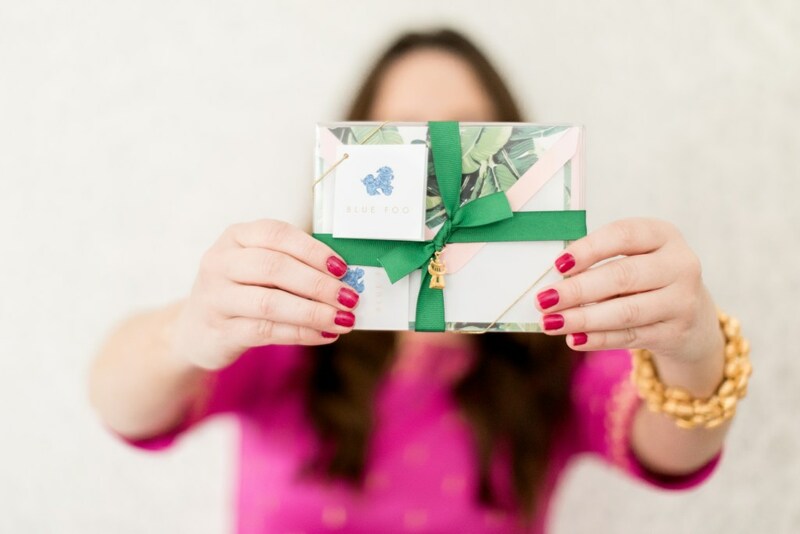 What is your favorite hostess gift to give? Or what has been the best one you’ve received? I love these ideas! And you’re right, flowers are always the way to go! 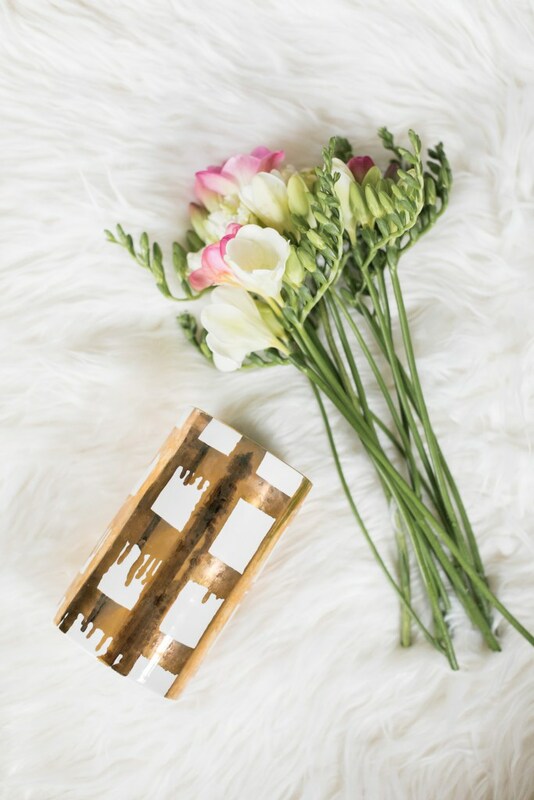 Flowers are the perfect gift! 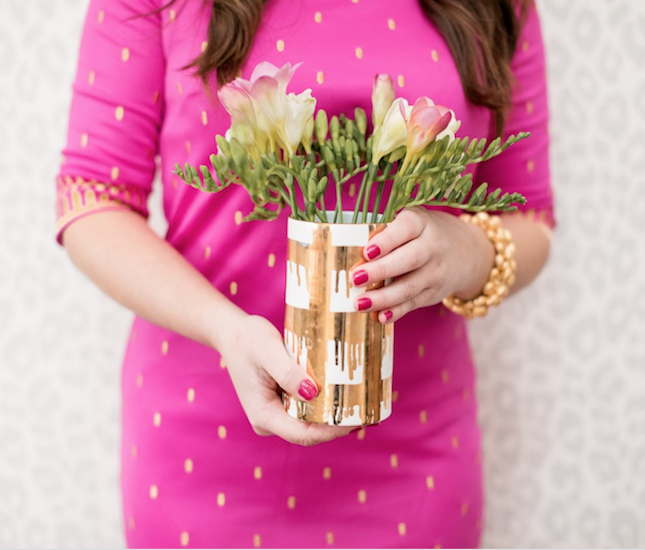 They're such a thoughtful gift, especially for spring!